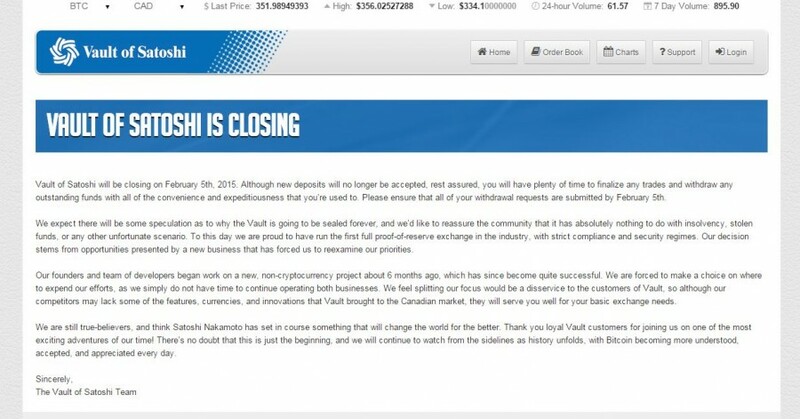 The Canadian based exchange, Vault of Satoshi has officially announced it was closing its doors on the 5th of February 2015. 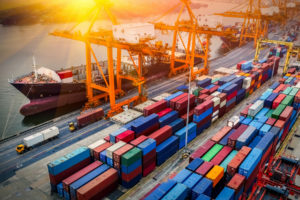 The exchange was one of the Top exchanges in the country and many users have already expressed their disfavor with this announcement. 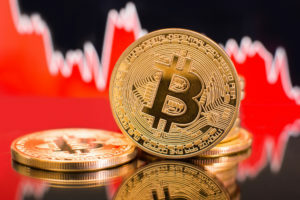 Although the announcement has been made in the aftermath of the recent Bitstamp Hacking events, the exchange CEO, Michael Curry stressed that the announcement had nothing to do with insolvency, hacks or any other negative issues. 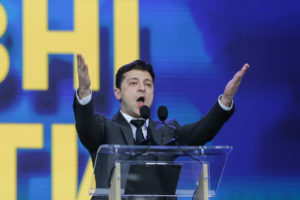 It is rather by the fact that other projects he is involved have proven to be of most importance to the team and he felt they needed to choose where to expend their efforts. 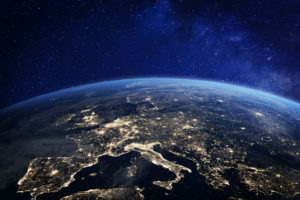 The exchange was always eager to support new ideas and one of the things the team had in common was that they all cared deeply about delivering a positive change to the world. Now with their new Turboflix service they feel they are accomplishing that. The exchange has been quite transparent with all the process so far, and immediately after the announcement has individually contacted each user to inform them about the withdrawal process while halting all deposits. 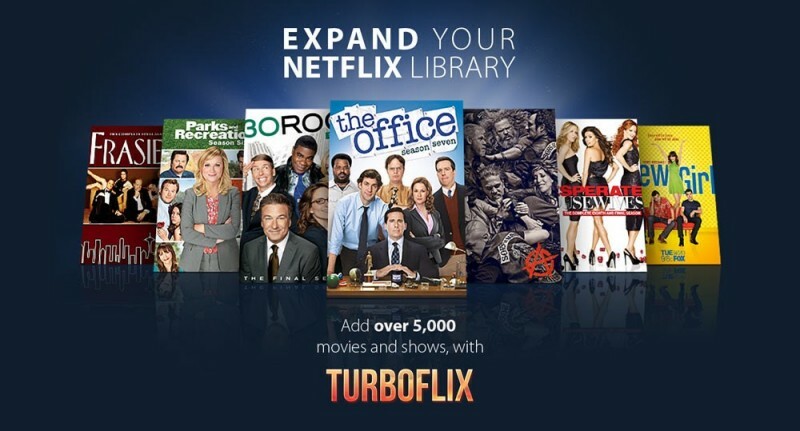 Michael Curry as stated that the company is now seeking to dedicate all their efforts to their new project Turboflix, a video Library Platform allowing users to access Netflix content. It seems that this new venture has been growing at full pace and they suggest that it’s too much work for them to handle. 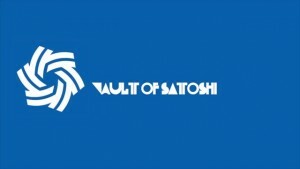 Users of Vault Satoshi feel sad for the closing of the exchange and many are very thankful for their work and have mentioned their quality services and fast and responsive customer service making perfectly clear their great confidence in the exchange, that promptly informed that despite the announcement, “users have plenty of time to finalize any trades and withdraw any outstanding funds with all of the convenience and expeditiousness that are used to”. 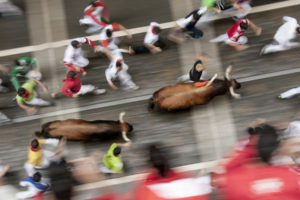 Many are the rumors following this announcement and some even say that the exchange owners were sensing great instability within the ecosystem and felt there was simply too much risk involved and tried “to move on with their winning horse”. Is this the end for the exchange? Michael Curry, is known to be a creative minded individual that is unstoppable when he has a goal. He has consulted for a handful of mutual fund companies and wrote a trading system that is still being used. This, and his experience in developing websites and monitoring software, positioned him well to create his own software trading system. 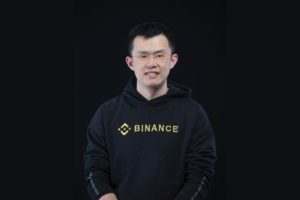 He has a track record in startups, having started the website monitoring firm Verelo, and then selling it to Dyn in January 2013; soon after that, he started working Vault of Satoshi. 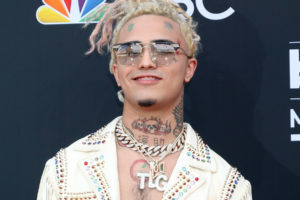 Known to be a successful entrepreneur, it comes without surprise that he has endured a new mission, and apparently there are strong possibilities the exchange could be sold; at least Curry hasn’t discarded that possibility and it seems there are already some exchanges interested. 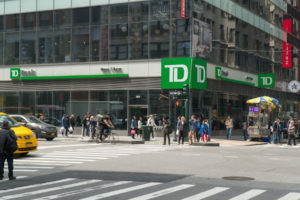 Probably the two other major Canadian exchanges! Curry went on explaining the team is not actively pursuing a buyer, however they are open to conversations, suggesting that the end of the exchange could well be adjourned. In the announcement that was equally posted at Reddit a hand full of users have shown their great appreciation and support to the exchange, while many other have been questioning the exchange of what will happen with all the user’s personal information that needed to be submitted in order to get verified. 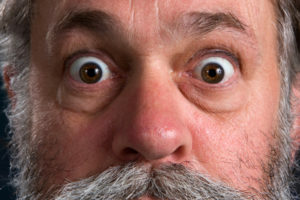 Canada will be now left with only 2 exchanges, Cavirtex and QuadrigaX and several Canadian Bitcoin users are already complaining throughout social networks and forums. This raises an extremely relevant question; what happens to all the documents and personal information submitted by users when crypto related businesses such as exchanges come into insolvency? This is not the first time it happens and when MTGox collapsed the same question became unanswered. The team was hopping the community would understand this hard decision and hopes it will not affect the Market in any way with this retreat. They also expect their users will continue to deposit all hopes and beliefs on the crypto currency ecosystem. Although Vault of Satoshi team strongly believes cryptocurrency presents an opportunity for us all to shift our thinking and create a more sustainable economy it is now departing the digital currencies industry, but it leaves the door open for a possible come back. 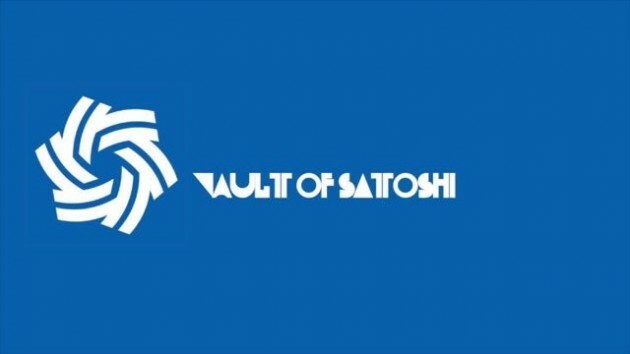 What do you think about Vault of Satoshi closing its doors? Let us know bellow!